Biblical theology is the discovery and development of doctrine as found and emphasized by a specific book of the Bible. Instead of beginning with a subject and then searching the scriptures broadly to assemble what may be relevant and illuminate one's understanding of that specific topic, biblical theology starts with a particular author and focuses upon a specific scriptural unit. The objective is to let the Bible speak for itself and discover what the original writer(s) wanted readers-or those listening to the reading-to understand. Therefore, New Testament biblical theology assists the student in understanding the distinctive doctrinal enrichment each book in the Christian canon brings to the collection of authoritative literature. 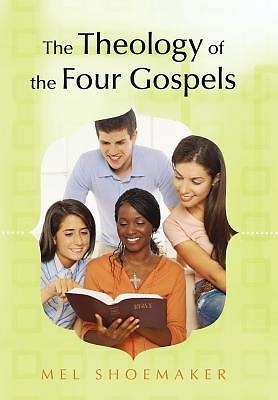 "The Theology of the Four Gospels" is designed to engage an individual or group in a fresh study of the teachings of Jesus and the distinctive perspectives of the Four Evangelists-Matthew, Mark, Luke and John. Even though everyone participating in the study is examining the same literature, the conclusions may vary widely, which may contribute to a very fruitful discussion. Why should one anticipate a variety of interpretations? Each person comes to the study of the Bible with prior opinions, judgments, and beliefs. These presuppositions have been formed by our culture (e.g., ethnicity, political, social, economic, and religious background), critical knowledge (educational background in history, literature, language, natural abilities, life experiences, and age), and character (moral values, belief in the supernatural, human immortality, accountability, rational choices, and spiritual maturity). This is the goal-to let the Four Gospels speak for themselves. The theological outcome may be tentative and provisional; however, the reader or student becomes engaged in the process of building a sound, personal theology and a steadfast, living faith in Jesus Christ.